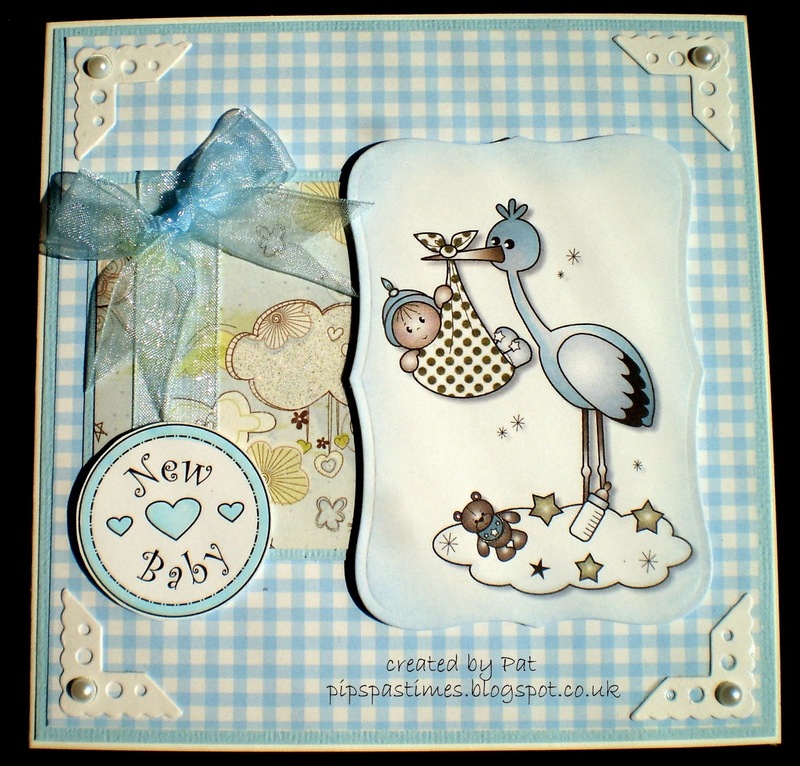 This is such a sweet baby card Susan, some lucky parents will love it. Gorgeous card Pat. I love the image, beautiful papers and fabulous detailing. Beautiful and so very sweet Pat. That is the cutest little baby. Your daughter is lucky to have you for a resource - she could not but a card that would be near this nice and you have created a keepsake for the parents. It's a beautiful card Pat - you can see that despite the lack of good daylight to take a photo. Your card is adorable Pat, I love the cute image and corner dies. Pat, you make the sweetest cards! I love the gingham background! !